A Man From India: Can India be energy independent? Can India be energy independent? India is a country occupying 2% of the world's land mass and currently generating about 2% of the global electricity, mostly using low grade coal of which it has about 5% of the world reserves. India has, however a share of 16% in the world's population. To achieve a modestly high level of economic growth, the domestic generation capacity needs to be increased at least tenfold. Even with full utilization of all existing commercially exploitable domestic hydrocarbon, hydroelectric and non-conventional resources, this level of increased generation capacity cannot be sustained for more than a few decades. For a large country like India, bulk imports of fuel or energy are neither affordable nor strategically prudent. So what options is the Indian government looking at? The Indian Uranium reserves, about 0.8% of the world - cannot contribute to any significant improvement in the situation if this Uranium is used on once-through basis and then disposed off as waste. However, with a carefully planned program, the available Uranium can be used to harness the energy contained in non-fissile thorium, of which India possesses about 32% of the world's reserves. The first stage of this programme involves using the indigenous uranium in Pressurised Heavy Water Reactors (PHWRs) which efficiently produce not only energy but also fissile plutonium. In the second stage, by reprocessing the spent nuclear fuel and using the recovered plutonium in Fast Breeder Reactors, the non-fissile depleted uranium and thorium can breed additional fissile nuclear fuel, plutonium and uranium-233 respectively. In the third stage thorium and uranium-233 based nuclear reactors can meet the long term Indian energy requirements. The Indian concerns and priorities are thus quite unique. For its long term energy security India has no option but to deploy nuclear power according to a strategy precisely tuned to its needs and resources. For power hungry India, solar energy is a source that has not been adequately tapped. Rapid advances have been made and advanced solar technologies can be leveraged to power at least the remote and inaccessible parts of the country. The Ministry of State for Non-conventional Energy Sources announced plans to expand government programs supporting the development and utilization of solar energy resources in 2005 and 2006. Additionally, they announced that the government has established a commission for additional sources of energy to plan and oversee the implementation of programmes relating to solar energy and other renewable energy sources. 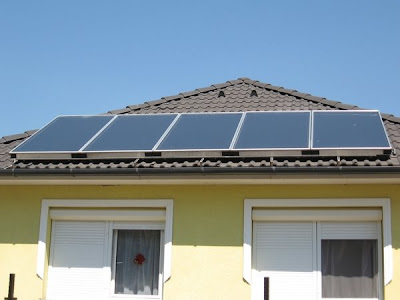 To popularize its usage the government has been offering rebate on electricity bills to those who install solar systems. Some banks provide soft loans to buy solar equipment. There are many big names that have entered the solar industry. Tata being one of them. It sells approximately 30,000 kw of power. Tata BP Solar India Ltd claims to export approximately 60 per cent of its solar products. The Prime Minister’s Council on Climate Change has prepared a strategy for sustainable development known as the National Action Plan on Climate Change. Like the Philippines’ bio-fuels program, which promotes plants such as jatropha, which is not a food crop and does not substitute agricultural land. New Delhi is in the process of formulating a national policy on bio-fuels and the setting up of a National Bio-fuel Development Board, which will likely follow the Philippines approach. Jatropha oil is produced from the seeds of the Jatropha curcas, a plant that can grow in wastelands across India. Jatropha oil is considered to be an excellent source of bio-diesel. Why do we have an Indian Mujahideen?